Teddy Bears are cute. Seriously cute. 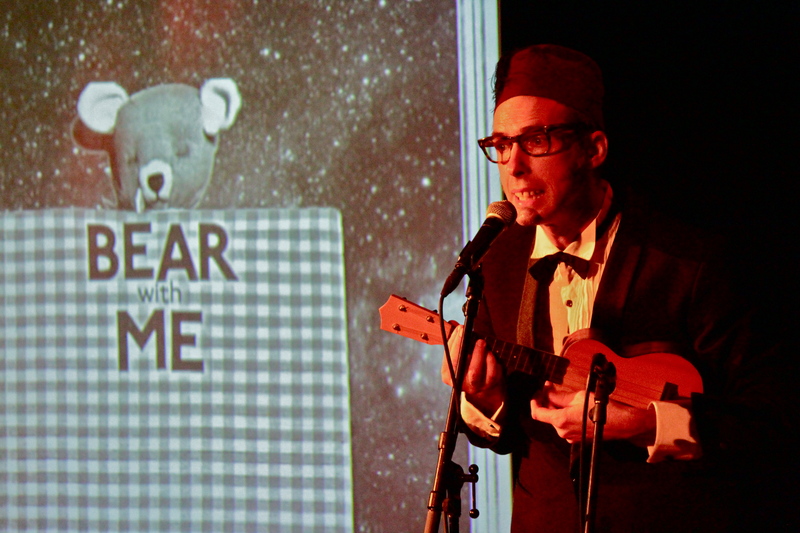 In 2011/12 I made Bear with Me, a new performance work for children aimed 3-6 and their families (and importantly, their bears) which has fun with taking this cuteness seriously. This story (and it’s a long one) lays the foundations of this show… bare. 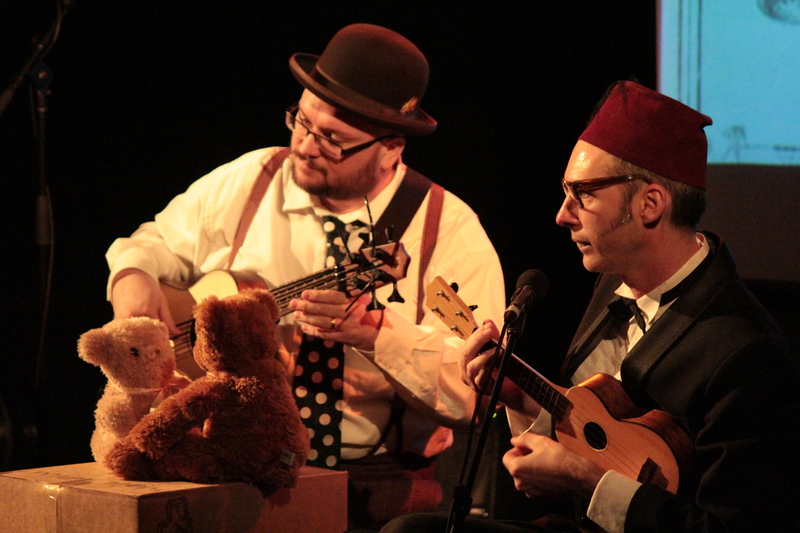 My aim was to unlock the symbolic potential of the bear with humour and tenderness in an innovative, music-driven project combining live performance, original songs, projected image and participatory action. A playful play. In a casting coup I was lucky enough to secure the services of Tyrone and Lesley to perform the piece. Bear with Me’s starting point was the ubiquity of these furry companions. (Teddy Bears, not Tyrone and Lesley). I wanted to transcend the kitsch to unlock their soft mystery from the point of view of a child. Bears are often un-gendered, and commonly the first object which truly belongs to the child. 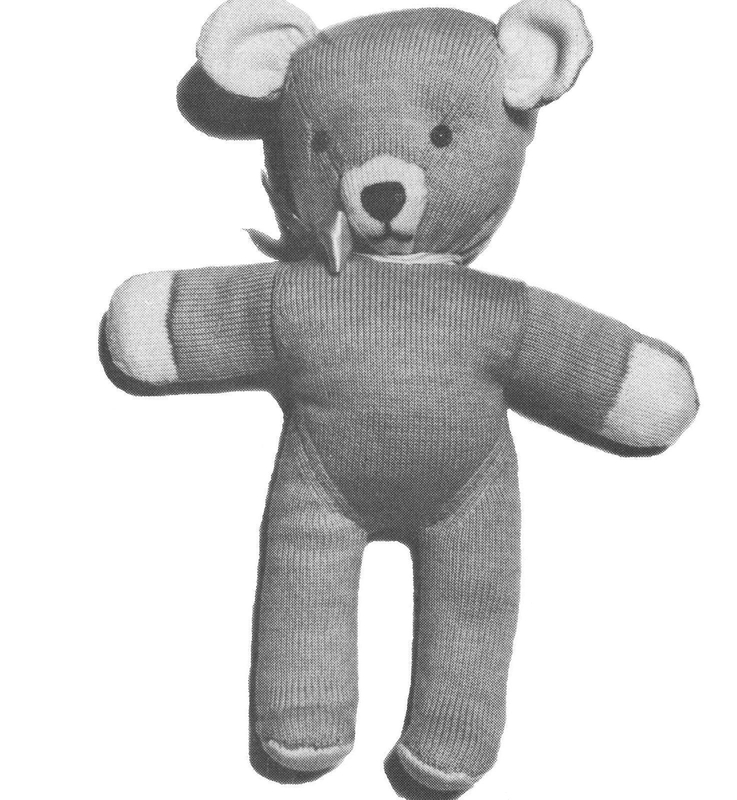 A bear enables a compelling transformation as the child plays with it – the toy enables him or her to perform as parent and child simultaneously. I wanted Bear with Me to ‘hold’ the audience. In the audience, the adults may hold the children. In turn, the children may hold the bears. This holding environment could be as physical as a cuddle with a bear, as theatrical as holding the attention of the audience, or a metaphorical sense of psychological comfort. Maurice Sendak’s recent death sparked an outpouring of admiration for his (rather uneven) body of work for children. Yet he famously professed that “You cannot write for children… They’re much too complicated. You can only write books that are of interest to them” (1987). Making performances for children is a place of complex creativity, surprise and innovation. When I make performances for children I’m aiming for a particular kind of register: a mode of address by which children and adults can engage with the moments that comprise narrative in the same way, at the same time. This is so the performance isn’t exciting for children yet boring for adults; nor is it sprinkled with adult jokes that go over the children’s heads. Wall (in Hunt 1994:12), writing of children’s literature, identifies this as ‘dual address’ “confidentially sharing a story in a way that allows adult narrator and child narratee a conjunction of interests.” My firm aspiration in creating live performances ‘for children’ is similar: to give them an integrity which renders the works equally enjoyable and meaningful for both children and adults. This is an inherent and internal artistic challenge, a push towards simplicity and elegance in process that that’s playfully difficult. In product it’s deceptively simple. Pianist Artur Schnabel once referred to Mozart’s piano sonatas as “…too easy for children and too difficult for adults.” By this he means it seems relatively easy to gather the notes in your hands, but to play them well is another matter entirely. This is the kind of quality I aspire to. Children deserve no less. Bear with Me emerged from a range of inspirations. 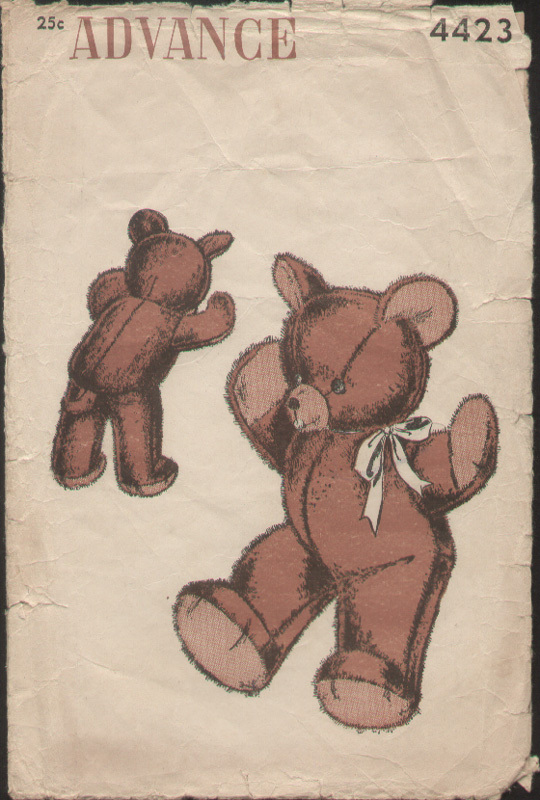 Mirka Mora’s painting Teddy Bear (1989). Lame ‘Teddy Bear’s Picnics’ staged as cheap and unimaginative public events. Countless bearish ideas and project proposals accumulated from mid 2006 without traction. Then came the music. As a songwriter I’d been engaged with a personal project of creating songs for children that weren’t simplistic, stating the obvious, or happy-clappy. I created and performed these as a lyricist and co-composer with my valued collaborator Samuel Vincent. We made songs that were lyrically and musically sophisticated, that drew on the power of music as a way of representing, and creating emotion. Songs that adults seemed to enjoy as much as children, without short-changing either listener. I wanted to use these songs to create a hybrid work that looked like a concert presentation, supported by projected images, but carried by symbolic elements which drive meaningful audience participation: part role play, part game play. Tyrone sings ‘Bear with Me’ while the audience puts their bears to sleep. Having surveyed some of the great bear songs of history, I made the decision to utilize only original songs in the work, to be played live. I began to re-purpose, to reconceptualise some of our completed songs and works in progress to conceive the narrative of a (still unwritten) show. One in particular, Bear with Me (2011) was a bittersweet lullaby evoking the isolation of the child left on their own at bedtime, and how important a bear can be as a comfort object. This song was a touchstone for the emerging show, providing its title. 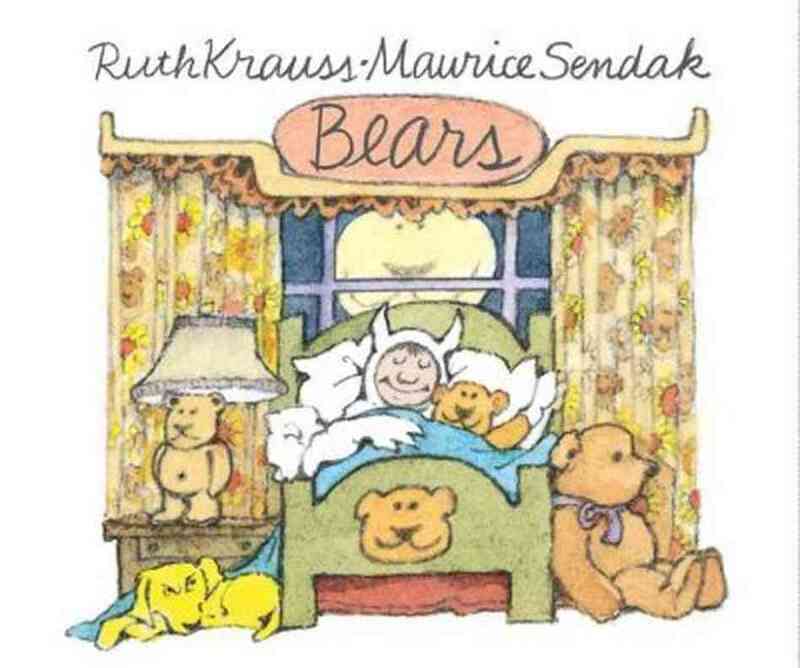 In a casual conversation with my brilliant Susan, she suggested the production was starting to look kind of like “….the antidote to ‘Go the F*** to Sleep.’” This book (Mansbach, 2011) was a popular spoof picture book that captured the frustration of bedtime from a parent’s point of view. Its appeal was intensified by employing celebrities such as former playschool host Noni Hazelhurst to read the book in their most ‘child-friendly’ personae. So far, so one-dimensional, (so commercially successful) but there’s an ignorance at the centre of the book’s joke that denies the vital importance of the separation implicit in the bedtime routine. 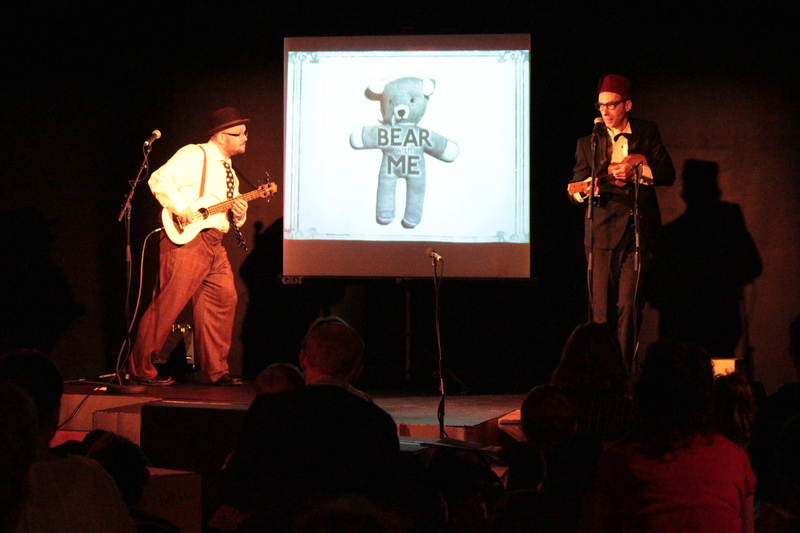 This ‘Bear with Me’ song we’d created flips this point of view from the exasperated parent to the experience of the child. The ‘setlist’ is a constantly shifting work of art for a live musician. This is the temporary sequencing of songs you’re going to play at a gig. Each song may have its own stories within it, but grouped together they say something different. Selecting and sequencing music in a setlist is the way a group determines the performed ‘narrative’ of the music: the story the songs make. Bear with Me began as a setlist. I anticipated several levels of participatory action so the audience could be meaningfully involved in what was going on as well as having fun. I problematised the spoken word by writing the interstitial dialogue in Haiku form, which was devilishly tricky to learn but lent the spoken word a unique flavour and economy. Names of songs were projected as (often animated) title cards. Setlists littered the floors of the many rehearsal spaces the small budget forced us to migrate between. Director Michael Futcher offered us a day or two in the Old Museum. Playing several pieces of music in an order will be interpreted as telling a kind of story, whether you like it or not. That story is not necessarily ‘fictional’– it takes in the entire performance, including the vagaries of lighting, sound, bar sales, crowd, and even billing order if there are multiple acts. But for the setlist to function, each of the songs that comprise it must have legitimacy as a self-contained artwork. This need draws us towards the art of songwriting and composition in Bear with Me. In composing music for Bear with Me, it was integral that the music was capable of standing on its own. That while the show’s concept was complex, all would flow, in process, and in product, from the moment of music in performance. One of the first things that caught my attention in my preliminary research into the themes of Bear with Me was the idea that a song can function just was well as a comfort object as a bear. Therefore in creating Bear with Me I was determined that the songs should ‘have their own life’ and not be dependent on other presentational elements. These may include elements of participation: they’re designed to be catchy and stick in your ear or jerk a tear, but they have to mean something. If the songs are completely contrived, if the music has no life of its own, it’s like inviting someone to eat the menu instead of the dishes it describes. As each song in a setlist is performed and ‘traced’ they seem to point to a larger pattern. Is it a story? Bear with Me begins with the idea that a child is already an expert at playing, and aims to aesthetically to explore their relationship with a bear. 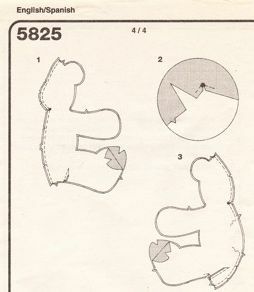 One element of this exploration is the potential of the bear to unlock ideas around attachment with a particular focus on the function of the transitional object. Following Bowlby, Ainsworth (1978) defined attachment as ‘a tie, bond or enduring relationship between a young child and his or her primary caretaker’ (1997:116). Its archetypal form is the relationship between the mother and child, from birth onwards, through succeeding ages and stages of the child. A key element of the attachment is the developing ability of the child and attachment figure to separate and reunite – to reattach. The space between these two moments is a key element of Bear with Me. I’m not a cultural theorist or a child psychologist. I’m an artist. 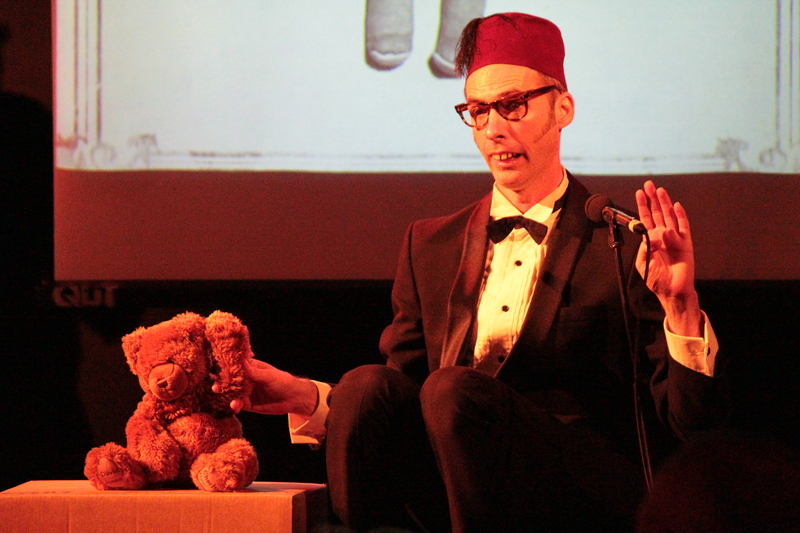 The performances I make for children are far from didactic. But I see no reason not to draw on a selection of intellectual or artistic domains as part of the research involved in making something very new. Differing attachment relationships in early childhood can be seen as defining a child’s sense of security, safety and ability to separate from the carer. This was a space explored by English paediatrician and psychoanalyst Donald Winnicott, who observed that “Out of all this there may emerge some thing or some phenomenon – perhaps a bundle of wool or the corner of a blanket, or a word or tune, or a mannerism – that becomes vitally important to the infant at the time of going to sleep, and is a defense against anxiety… Perhaps some soft object or other type of object has been found by the infant and this then becomes what I [Winnicott] am calling a transitional object” (in Tuber 2008:152). We have all experienced, or have observed the behaviours around transitional objects from our own childhood, or the childhoods of those near us. Everybody’s got a story about their child’s, or their own Teddy. Once I started researching this area I knew I would weave these ideas into the show. Bears come to symbolize for us as adults, various aspects of our own childhood. But I knew I didn’t want the show to be sentimental and nostalgic. Bears are animate only because we make them so: we endow them with the life they have, and that’s where Bear with Me springs from. 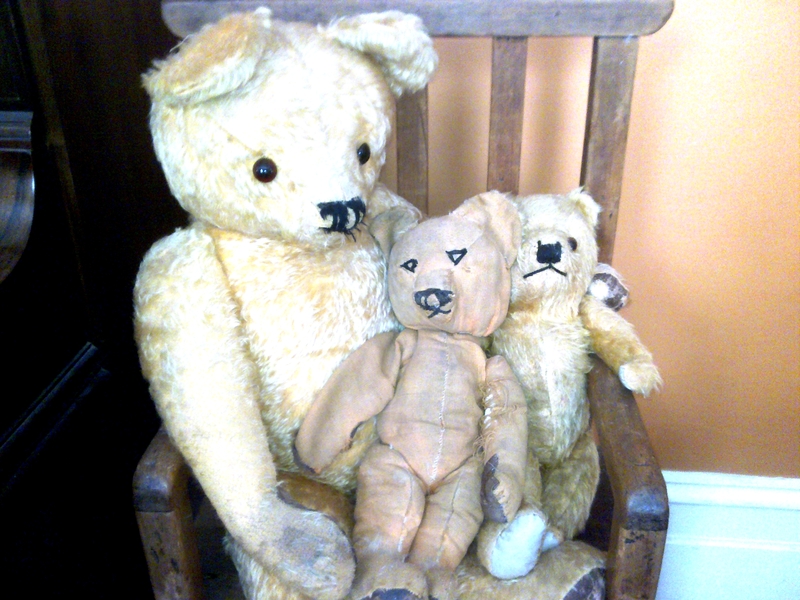 The children’s role play with, and manipulation of the bears is a major component of the show’s concept. But this is subtle stuff. It requires a kind of double-think, (the wellspring of drama) where you acknowledge the ‘life’ of the bear as a construction but simultaneously rejoice in its liveliness. Children are open to the in-between-ness of Bears. They are expert practitioners. 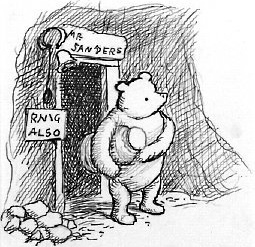 I recall an exchange with my own child (at the age of three or four) when he wondered if the (imaginary) honey his bear consumed would soak into the fluff that stuffed him. Having woven these strands into the fabric of the show, and carefully patterned, then cut and sewn together its structure, it seems silly to wear the thing inside out: to show all its seams. And yet this tension remains. A work for children always seems to be required to substantiate its worth in a way that other contexts may not demand at all. We did a media call for Channel 7. It was going to be in a theatre, but it got bumped to a foyer, and it looks like it. Ah, marketing. It was the first time any part of the show had been before an audience, so it was a risky place to test anything as a work in progress. As awkward as the show (and interview) look in the below clip, it was a good step to take. I had to make the fairly dense theory behind the show more friendly sounding. See how I went. The theoretical roots of the work were laid out in detail in an extensive foreword to the script: a concept document that contextualized the ensuing dialogue and music. But there’s no place for theoretical ideas in program copy. Theory doesn’t sell tickets. It’s not fun. It’s the spinach in the ice cream. (Sorenson, 2007) It’s the job of the artwork to compress these complicated ideas into sublime wudges of aesthetic experience. Performances designed for young audiences have to withstand a pressure that adult shows rarely do. The reasons that it is ‘good for you’ apparently need to be identified, and then explainable to stakeholders, including (perhaps) children. This perceived division between “…entertainment and edification” (Hunt,1994:27) also drives the discourse around theatre works. “In the artist of all kinds I think one can detect an inherent dilemma, which belongs to the co-existence of two trends, the urgent need to communicate and the still more urgent need not to be found. It is a sophisticated game of hide and seek in which it is a joy to be hidden but a disaster not to be found”. Hear the music here. Microdocumentaries on the making of the show here. Bear with Me is looked after by MAPS for artists.